Manufacturing Day Proclamation! | Redmond Economic Development Inc. It's official! The Mayor, George Endicott, and the Redmond City Council officially proclaimed Friday, October 5th, 2018, National Manufacturing Day. Redmond is well-known throughout the region as the manufacturing hub of Central Oregon. We celebrate with our traded sector industries that make an impact in Redmond's economic growth and vitality by hosting the "Made In Redmond Tour". Each year we invite elected officials, educators, developers, and stakeholders for a behind the scenes look inside four companies that make and distribute products right here in our home town. 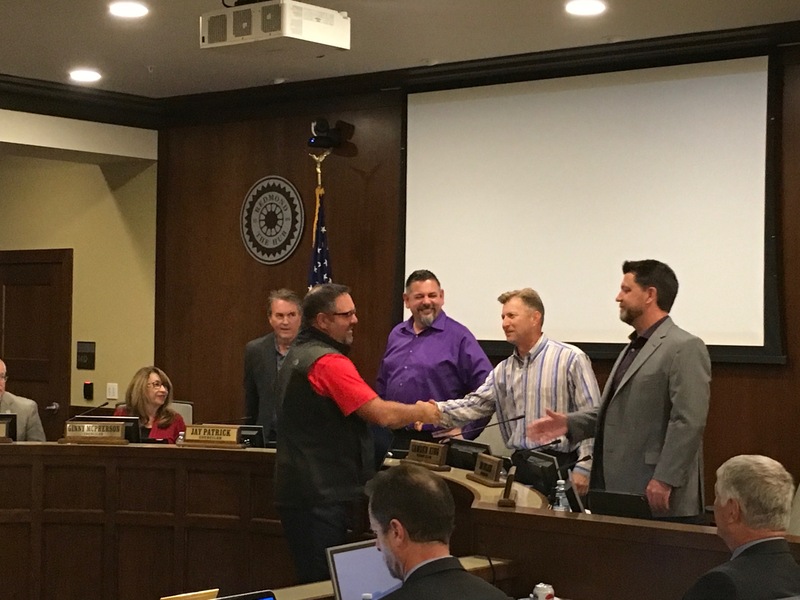 We wish to thank the Mayor and the Redmond City Council for honoring the manufacturing industry and the impact they make both locally and abroad.